Increase your range without switches, breaks or inconsistencies and how to sing longer and more powerfully without any fatigue or risk of hurting your voice from the same person who has helped over 100 Grammy Award winners. Torb Pedersen is the most comprehensively sought-after vocal expert in the world. Torb advises a diverse portfolio of clients from over 100 Grammy Award winners, major record labels and even the White House Press Corps. Normally only available to the world’s most elite performers, Torb will share his vast knowledge of the voice and his neuromuscular techniques with a select group of singers. He will give you an understanding of the vocal system and how to efficiently utilize it to achieve fastest and most permanent results. Over 20 years of scientific research and unprecedented access to the most demanding vocal issues from world leaders to major stars backs up this scientific approach and Torb’s reputation as the world’s most knowledgable vocal expert. Imagine what it will feel like to never worry about vocal strain again. Knowing that every time you get off the stage you voice will be stronger and ready for the next performance. This is what the Vocal Transformation Workshop is all about. Do you feel like your range has hit a wall? Do you struggle to hit high notes with precision and strength? Have you paid for vocal lessons that give you seemingly pointless vocal exercises that don’t make any difference? It’s not your fault. Millions of singers around the world struggle with their voice. There is so much misinformation available that you can get overwhelmed and left feeling confused and frustrated. Without the right training and guidance you could even do permanent damage to your voice. The Vocal Transformation Workshop will give you the exact steps you need to get your voice singing the best it can. Through scientific research and real-world applications, we have designed the most advanced vocal techniques that are used by the world’s best singers. Over only 4 workshops you will learn how to push your range to highs that you’ve never even thought of. You’ll leave with the knowledge that you are singing in a sustainable way, where you can perform night after night and not worry about having a sore voice ever again. In fact, after just 2 weeks, you’ll leave this workshop with the confidence that every time you reach for that high note you know you’re going to hit it. Every time! I've heard so many people go to so many different vocal coaches and its always been "do this, do that" and at the end it's still painful to sing. I didn't know anything like this even existed, let alone set down in a class and learn it all. Especially the amount of one on one time where Torb can critique you personally is awesome. Learn the connections between your individual personality and the specific traits of your voice. Discover how to technically alter, hone and emphasize these aspects into an individual, market-ready vocal brand. 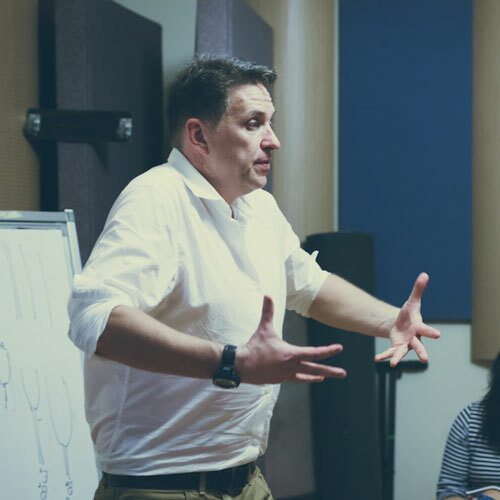 Torb Pedersen’s singing methodologies are so revolutionary in nature–they will completely alter your perspective on performance and training for the rest of your life. You will be literally peaking behind the curtain to the inner workings of your voice and how it connects to your nervous system, musculature and specific personality. Built and constructed over several decades of exposure to the world’s biggest stars, these methods are not only comprehensive, but easily understood and adaptable, even for fledgling singers. You will make progress on a scale you didn’t realize was possible. You will experience the simultaneous thrill and security of being able to hold your vocal future in your hands.